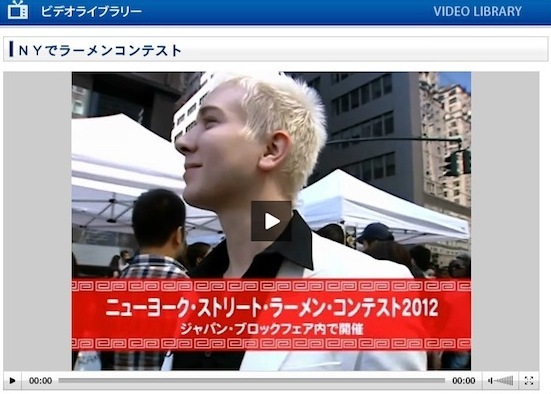 Japanese television network Fujisankei Communications International (FCI) covered the NY Street Ramen Contest at Sunday’s Japan Block Fair. The TV crew followed singer Alex York as he interviewed contest participants and people sampling their unique styles of ramen. The “Today’s Eye” segment aired on May 22. Watch it here. You can catch a few glimpses of me around the 4:30 mark as I introduce the ramen chefs with emcee Yoshi Amao.